1999-06-07. New. Ships with Tracking Number! INTERNATIONAL WORLDWIDE Shipping available. Buy with confidence, excellent customer service! 2013-01-07. New. Ships with Tracking Number! INTERNATIONAL WORLDWIDE Shipping available. Buy with confidence, excellent customer service! 1983-05-21. Good. Ships with Tracking Number! INTERNATIONAL WORLDWIDE Shipping available. May not contain Access Codes or Supplements. May be ex-library. Shipping & Handling by region. Buy with confidence, excellent customer service! 1998-06-04. New. Ships with Tracking Number! INTERNATIONAL WORLDWIDE Shipping available. Buy with confidence, excellent customer service! 1983-09-03. New. Ships with Tracking Number! INTERNATIONAL WORLDWIDE Shipping available. Buy with confidence, excellent customer service! Princeton University Press. PAPERBACK. 0691024553 New Condition. . New. Princeton University Press. PAPERBACK. 0691159009 New Condition. . New. Princeton University Press. PAPERBACK. 0691029350 New Condition. . New. 1998-06-04. Good. Ships with Tracking Number! INTERNATIONAL WORLDWIDE Shipping available. May not contain Access Codes or Supplements. May be ex-library. Shipping & Handling by region. Buy with confidence, excellent customer service! 1983-09-03. Good. Ships with Tracking Number! INTERNATIONAL WORLDWIDE Shipping available. May not contain Access Codes or Supplements. May be ex-library. Shipping & Handling by region. Buy with confidence, excellent customer service! Princeton University Press. PAPERBACK. 0691159009 Like New Condition. . Fine. Princeton University Press. PAPERBACK. 0691024553 Like New Condition. . Fine. Princeton University Press. PAPERBACK. 0691029350 Like New Condition. . Fine. Princeton University Press. PAPERBACK. 0691159009 Special order direct from the distributor . New. Princeton: Princeton University Press, 1983. Selected and introduced by Anthony Storr. 447 p., stiff wrappers. Princeton University Press. PAPERBACK. 0691159009 . New. Princeton University Press. PAPERBACK. 0691159009 signs of little wear on the cover. . Very Good. Princeton University Press. PAPERBACK. 0691159009 Minor shelf wear . Very Good. Princeton University Press. PAPERBACK. 0691159009 *BRAND NEW* Ships Same Day or Next! . New. Princeton University Press. PAPERBACK. 0691159009 *LIKE NEW* Ships Same Day or Next! . Fine. Princeton University Press. Used - Like New. Book in almost Brand New condition. Princeton University Press. PAPERBACK. 0691159009 BRAND NEW, GIFT QUALITY! NOT OVERSTOCKS OR MARKED UP REMAINDERS! DIRECT FROM THE PUBLISHER!|0.95 . New. 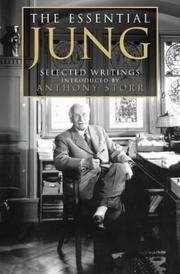 Princeton, N. J.: Princeton University Press., 1983. Softcover 1983 edition. Text and covers in good condition. Neat underlining in pencil to some pages and margins. Name to half-titled page and interior back cover. Binding firm. (447 pages). Soft Cover. Good. 8vo - over 7¾" - 9¾" tall. Princeton University Press, 1983 Clean, tight copy. 447pp.. Paperback. Near Fine. Trade Paper. Princeton University Press. PAPERBACK. 0691029350 Contents are tight and clean . Very Good. Princeton University Press. Used - Good. Good condition. Princeton University Press. Used - Good. Good condition. Writing inside.Owner's name on inside. Princeton University Press. Used - Good. Good condition. Highlighting inside. Writing inside. Princeton University Press. PAPERBACK. 0691024553 Ships promptly from Texas. . Good. 1983. Princeton University Press, 1999-12-14. Paperback. Very Good.